When I review medical records as a legal nurse consultant, I find that certain characteristics of the record affect my analysis. and the dependability of the electronic systems used to collect, disperse, and store information. Accessibility relates to the ease of retrieving data, and can be affected by several things. The way the medical records are organized and printed makes a huge difference. Some records I receive are photocopies with the front of the page having no relationship to the back of the page. In other words, a physician order may be backed by a nursing note. This disjointed flow affects the ability to follow the thread of the information. All required data components should be captured in the record, and implies that the chart is complete. Missing pages or records slow the progress of review. The consistency of a medical record refers to the fact that the data are reliable and that the integrity of data has not been corrupted regardless of how often or in what way the data have been retrieved, viewed, stored, or processed. Sometimes I find pieces of another patient’s medical records within a chart. This makes me wonder if the data was inserted into the chart while the patient was receiving care or when the chart was being compiled. The timing of documenting the data is a key component of data. Healthcare records should reflect current information that is documented as close to real time as possible. Failure to maintain a current and timely record can influence the care and treatment prescribed for the patient. Late entries should be scrutinized for self-serving comments after a bad outcome. Are the medical records relevant to the liability issue associated with the case? It is our job as legal nurse consultants to help the attorney understand the necessity and benefits for requiring specific medical records. This assists in obtaining the law firm’s cooperation in obtaining the information. Modified from Mila Carlson Ph.D., CLNC, CNLCP, Adoption Rates and Barriers to Implementation of Electronic Health Records in Physician Office Practices In Northwestern Illinois, Dissertation Presented to the Faculty of the School of Health and Public Administration, Warren National University. 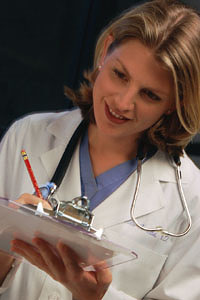 Med League specializes in locating well-qualified health care expert witnesses nationwide. Our EMR experts have extensive experience of implementation of EMR systems, clinical expertise and deep understanding of backend EMR system database. Contact Med League for your next case. I would like to see a copy of an attorney’s request for medical records. What items do they list that are to be sent. If they say all medical records, it seems many things get left out, such as nursing notes, or doctors orders. Thank you for your support and wonderful advice.